Some organizations – including the Sound Money Defense League – have devoted tremendous amounts of time and energy to exposing the corruption within our nation’s monetary system and demonstrating how that corruption adversely affects the financial health of the average American. While it’s important to wake up the American public by screaming from the rooftops about our country’s monetary sickness (as we’ve been doing), it’s equally important to communicate to Joe Sixpack – in plain English – what a cure for our monetary ills would look like. The Federal Reserve is, of course, the ultimate promoter of unsustainable asset bubbles and the ultimate enabler of Big Banks’ improprieties. Without the Fed’s guaranteed torrent of cheap liquidity and "gentleman’s agreement" that it will bail out the so-called “Too Big To Fail” banks regardless of the cost or degree of recklessness that got them into financial dire straits, the financial services industry wouldn’t be able to run amok and put the economy in peril as it has been for the past couple of decades. So, then, neutering the Fed is integral to healing our nation’s infirmed monetary system. And, contrary to popular pessimistic belief, sterilizing The Beast is a realistic endeavor. 74% of Americans want the Fed audited; that number will absolutely grow the next time the economy implodes. Today, two likely 2016 presidential contenders, Republican Rand Paul and Democrat Elizabeth Warren (the latter a likely VP selection for a Democrat ticket), support the Audit the Fed Bill. Eventually – perhaps in the not-too-distant future – public pressure to audit the Fed will reach critical mass, the Fed will be audited, and the malfeasance that the audit will inevitably reveal will make the public to demand that heads roll (and gonads be sheared). Eventually, the Fed will be neutered, the financial services industry will lose its ultimate enabler, and the TBTFs will lose their gentleman’s agreement that the Fed will bail them out no matter what. Naturally, reimplementing the Gold Standard (or tying the Dollar to any scarce, redeemable physical asset for that matter) would be an effective means of neutering the Fed. A requirement that the dollar is backed by gold would severely limit the Fed’s ability to print and crush down interest rates. Torrents of cheap liquidity would become a thing of the past, and malinvestment would be limited in tandem with the reduced flow of cheap money. As a result, economy-crashing asset bubbles would be far more difficult to inflate, and the economy would enjoy something it hasn’t since the 1990s: relative stability. A return of the Gold Standard would exterminate the pestilence that is the Fed’s bubble/burst economic paradigm. 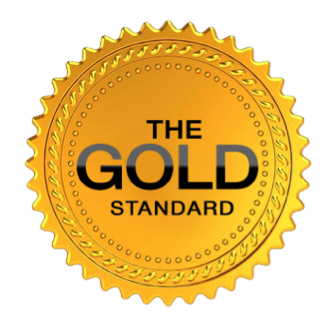 Unfortunately, the Gold Standard is a way harder sell than is Auditing the Fed. Keynesian economic demagogues such as Paul Krugman and Joseph Stiglitz have done an excellent job of scaring the economically-ignorant public into believing that deflation is ultimate economic bugaboo, and they argue that a return of hard currency would necessarily bring about a deflationary depression. This is malarkey of course: Decades of Fed monetarists’ promotion of Inflation have delivered us to the jobs depression hell we’ve been experiencing this millennium. On a level playing field, Krugman and Stiglitz could be easily vanquished intellectually. Perhaps, with the rise of independent media through the Internet, the Keynesian demagogues standing in the way of an honest analysis of a return of the Gold Standard could finally be cast aside. Reimplementing the Gold Standard might prove potilically challenging, but replacing neutered central planners with an algorithm might not. 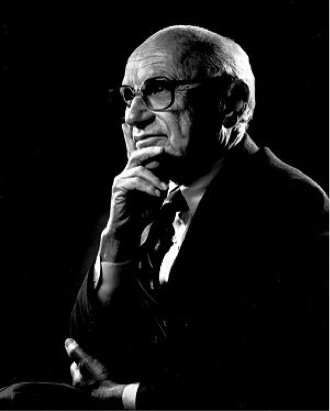 Milton Friedman once said that, while he disagreed with the existence of the Fed, he believed that the Powers That Be would never allow its abolition. Therefore, Friedman posited, people who disagree with the Fed’s existence should campaign not for shuttering our central bank, but rather for limiting the Fed’s power. (This compromise is what Solidus.Center advocates.) The famed economist believed that the Fed’s power to print and pump could realistically be replaced with a formula that would increase the money supply and levy interest rates according to a number of variables. Like the Gold Standard, this change in procedure would reduce the torrents of liquidity, curtail malinvestment, and hinder the inflation of asset bubbles. Perhaps if a real gold standard can’t be implemented in the wake of another financial crisis, this algorithm approach could be sole to lawmakers as a compromise. Reestablishing Glass-Steagall, a law passed in the wake of the Great Depression that prevented banks from throwing depositors’ funds into the Wall Street casino, might be the easiest sell in the wake of another economic collapse. While recent attempts to reimplement Glass-Steagall have not borne fruit, there is a growing politically leverageable negative public opinion of Big Banks that transcends ideology and political affiliation. The term “bankster,” for example, has become a household word, and, as with the Audit the Fed Bill, several high-profile elected officials support a return of Glass-Steagall, including the aforementioned Rand Paul and Elizabeth Warren. As with the Audit the Fed bill, the reestablishment of Glass-Steagall is a question of public pressure reaching critical mass. But G-S would also have the benefit of inertia: If the Fed were audited and Big Banks’ crony relationships with the Fed were exposed, passing Glass-Steagall would become politically expedient. 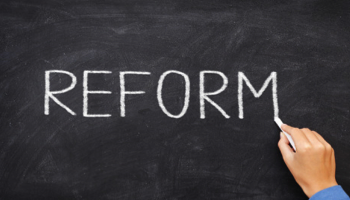 A great many cynics believe that reforming America’s monetary system is a pipe dream. While it’s likely that reimplementing the Gold Standard would be politically difficult to accomplish (short of an outright monetary collapse), shining sunlight – the ultimate disinfectant – on the Fed and passing laws that would tie the hands of our reckless central bankers and Big Bankers appears increasingly feasible. Seth Mason is a free-market economics and political commentator for the Sound Money Defense League. His writings promote the ideals of economic strength and stability, sound money, equality of opportunity, and reduced government debt. Seth heads the Solidus.Center which works to expose the Federal Reserve, has a publishing background, and holds an MBA from the University of Georgia.